Add the support you need on porch or patio with a new POLYWOOD Nautical Porch Side Table to help host. 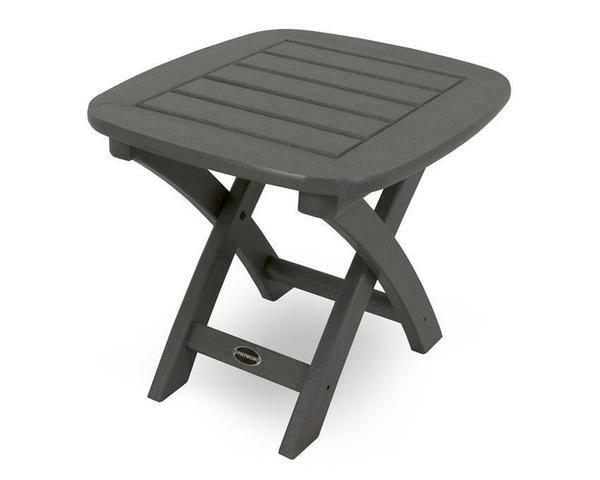 This outdoor table is ultra durable and environmentally friendly. It's made with recycled plastics and comes in mahogany, slate grey or white. The POLYWOOD Nautical Porch Side Table measures 18" deep, 21" wide and 15.25" high and weighs 17 pounds. Some assembly is required for this table. Count on poly outdoor furniture to look great and last for decades. Boxed Weight - 18 lbs.